Natural killer cell. 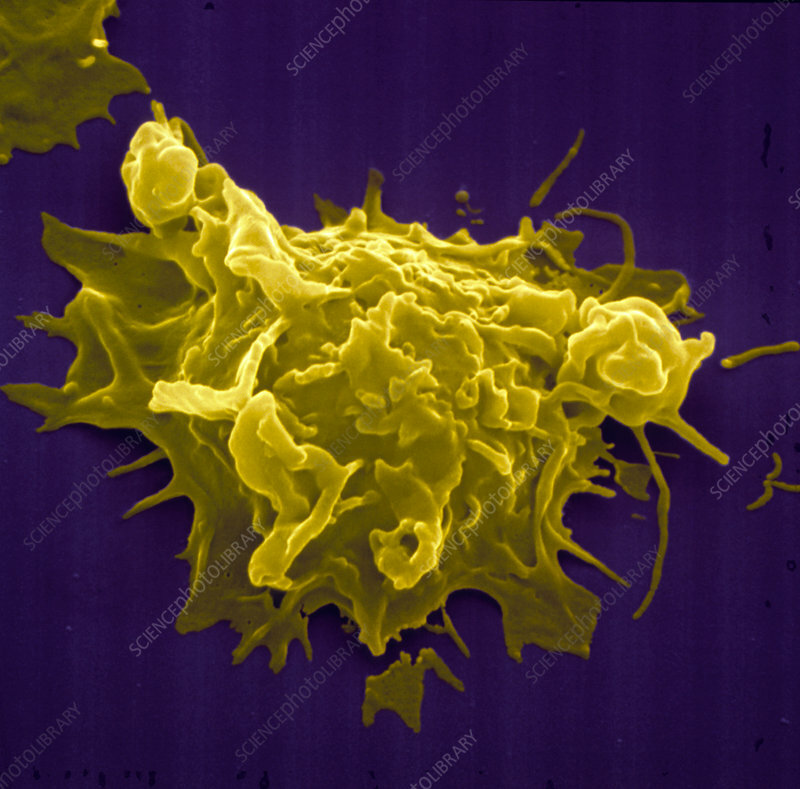 Coloured Scanning Electron Micrograph (SEM) of a human Natural Killer (NK) cell. The NK cell has numerous cellular projections which are used to attack foreign cells. Natural killer cells are a type of white blood cell. As part of the body's immune response mechanism, NK cells have the ability to destroy virus-infected cells & tumour cells. On contact with the surface of a tumour cell, the NK cell recognizes certain proteins called antigens, which activate its cell- killing mechanism. The NK cell then binds to & destroys the cancer cell using toxic chemicals. Magnification: x5,500 at 6x6cm size.